Custom gaming controllers are the latest trend. Every passionate gamer is looking to get his hands on one of these to get a controller that would truly be his own. 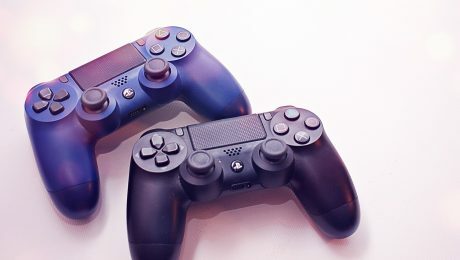 The best thing about these custom controllers is that they are designed according to your comfort and liking and that too at highly reasonable rates. What can you expect with cheap custom XBOX one controllers? Custom XBOX one controllers are equipped with quite a lot of impressive features, ensuring optimal functionality and comfort. They are also available at quite a reasonable rate, which makes sure that you do not have to worry about going over the budget. For one thing, you can connect these controllers to Bluetooth. You also have the option of getting a custom shell for the controller, making it highly personalized. You get to select the design that you want for your controller. You can get designs with themes of games, superheroes or anything you like. Thus, it is up to you to decide how you want your controller to look. An option is also available for changing the controller configuration by accessing the XBOX accessories app. This ensures that you get a controller suitable for your style. It is also possible to send voice commands. Messages can also be engraved on the controller. The performance, design, and features of the gaming controller will leave you impressed. Therefore, do not waste any more time. Avail the services of Kinetic Controllers to get an XBOX one controller that will truly be your own. You will be surprised at the effect it will have on your gaming experience. You can flaunt your controller in front of your friends while at the same time ensuring that you are comfortable playing for long hours. Passionate gaming fans will know that every controller is not the same. Every controller has its distinguishing features and pros and cons. Deciding which one would prove to be suitable for you is not an easy task. To make sure that you find the best controller for PC, there are certain factors that you need to pay heed to. The PC controller needs to be easy to set up. You just want to get on with your game, and any complicated controller makes things troublesome. Therefore, opt for a controller that merely has to be plugged into the PC and the rest will be taken care of by the Windows. Ergonomic design is something that you would ensure that you get optimal comfort while playing for a long duration. A touchpad is another impressive feature that you should look out for as it will make gaming a whole lot easier. Customizability is one of those features that enhance the gaming experience. Opt for a PC controller that can be remapped according to your preference. Dual track-pads are also a noteworthy feature that would enable you to get the best PC controller since these offer more responsiveness. The vibration motors should also be given attention so that you get optimal immersion in your game. An accelerometer is a vital feature of PC controllers since motion controls are pivotal in PC games. Get a PC controller that has a long battery life so that you can play for long hours without any interruptions. As important as it is to get all the desired features, affordability is of importance as well. Get a PC controller that offers you all the features at a reasonable price without compromising on quality. Do not compromise on quality. Are you a gamer or know someone who is? If yes, you might be knowing everything about custom made controllers and the trend that has taken over the gaming industry. Custom made Xbox controllers are the talk of the town nowadays. Every gamer wants to either get their controllers customized, or buy a new one. 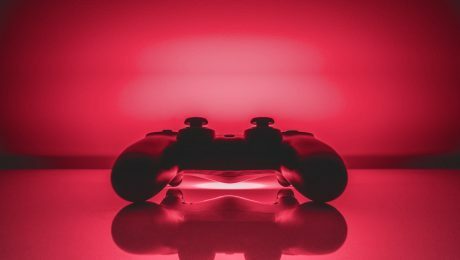 This article will discuss how custom controllers have become so popular nowadays and if they will ever be able to rule the world. With every passing day, the popularity of custom made controllers is on the rise. We see a lot of gamers having discussions about custom controllers, for example: on social media sites, gaming forums and in person as well. 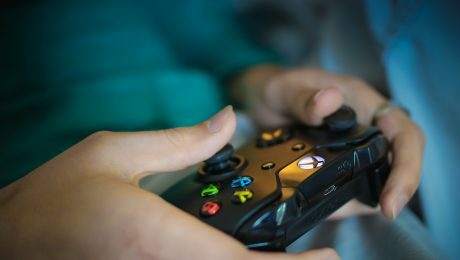 As the population includes a majority of teenagers and young adults, the demand for gaming is on the peak. This creates an opportunity for many companies to come up with something that would attract the potential customers. 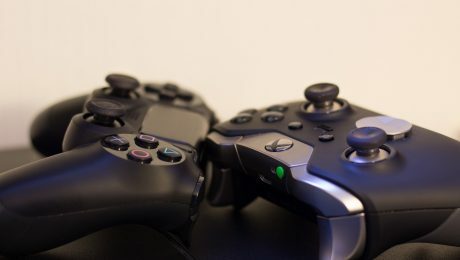 With the increasing number of youngsters interested in gaming, the demand for custom made controllers is also on the peak and is expected to increase in the future as well. Individuals are spending hours and hours on playing games. 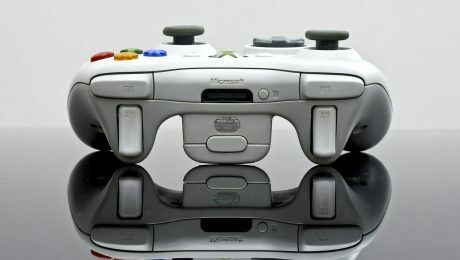 Taking advantage of this trend and popularity, many companies have introduced custom made controllers which can work on Xbox, Windows 7, 8.1 and 10. Kinetic Controllers provide custom made controllers with some amazing features such as Bluetooth Connectivity and a 1 year warranty as well. You can select from the 3 available theme categories, for example, Video Games, Superheroes and Premium Categories. 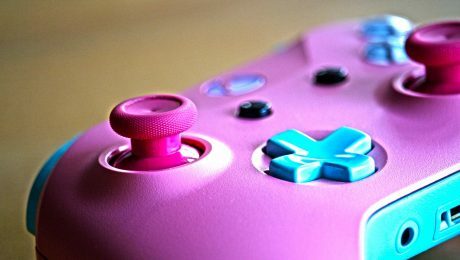 Custom made controllers are the top trend nowadays, if you’re planning to purchase one, you can find some unique ones with amazing features at our website. If the popularity and demand for gaming continues the increase, custom made controllers ruling the world is definitely a possibility. Custom Xbox controllers are the new trend nowadays. It’s a great time for Xbox One fans to enhance the status of your game and the overall experience of your game play with this new trend of Custom Xbox One controllers. You can fight your opponent in style, with the amazing Xbox One controller. This article will list down 15 things you need to know about the best Xbox one controllers offered by Kinetic Controllers. These custom controllers are now available with some amazing features and can be operated on Xbox one and windows 7, 8.1 and 10 as well. Kinetic Controller offer a 1 year warranty enabling you to have an experience that is worthwhile. The custom made controllers can also be connected to Bluetooth. You can also get custom shell for your controller. You can choose some impressive designs from three vast categories of themes such as video games, superheroes and a premium category. Premium designs are offered for fans that are in search of bolder aesthetics. In order to guarantee quality that is incomparable to others, we utilize high quality paints and seals. You can also go directly to Xbox accessories app and change the configuration of your controller into something that suits your style. However, specific settings for specific games are not possible to create. Sending cool voice commands is also a possibility now. In case of any query, you can directly email us and we’ll reach out to you. Outshine your opponent in style, with the cool designs offered by us. You can also get a message engraved on your controller. If you’re someone who’s crazy about gaming and the accessories that come with it, you’d surely be aware of the latest trends of customized controllers. With more and more youngsters spending their time on gaming, the demand for best custom controllers increases as well. As demand increases, competition increases as well. In order to stand out and be the best in the market, companies are coming up with various developments in order to provide the best custom controllers. This article will list down the 15 latest developments in the best custom controllers offered. You can easily get the design you want on your controller. A warranty of 1 year is also provided. You can now get the back, body, bumpers, thumbsticks, skin and almost everything of the controller customized. You don’t need to worry about the quality and material of the custom controllers, as every company is coming up with latest high quality material to attain customer satisfaction. Custom shell or skins are also a thing nowadays. Furthermore, you can now select the size, texture and color of your custom controller. Bluetooth technology and button mapping are the latest inventions nowadays. You can also get a custom controller that is wireless and works on various platforms such as windows, Xbox etc. You can buy custom controllers that are comfortable and will help you play a game that is long-lasting. You can also get some unique designs in reasonable prices. You can easily relive your childhood with some amazing features and enhance your gaming experience. Custom made controllers are all in nowadays. Are you someone who loves to play games? If yes, only the idea of getting your controllers customized would get you excited. The demand for custom made controllers is on the rise nowadays with the increasing number of youngsters spending more of their time on gameplay. If you’re a gamer, here’s a list of the 7 signs that indicate that you’re in love with custom made controllers. You just like the idea of defeating your opponent in style. You like customizing your controller as per your personality and in a way that the controller portrays the kind of person you are. You believe that customizing your controller with some cool designs and covers would enhance your gaming experience and make it worthwhile. You cannot just go on about with the same black and white controller and demand change. Customizing your controller increases your motivation and gives you an advantage over your opponent. You’re a big fan of superheroes and video games and would love your controller to be customized with the themed from these categories. You find custom Xbox controllers to be a great invention and would love to try out and suggest some designs yourself. You cannot just play dull, you love the idea of bold aesthetic designs on your controller and would love to show-off your personality and love towards gaming, while playing the game. Custom Xbox controllers come with some amazing features and are trending on top nowadays. If you haven’t purchased them yet, get your hands on some very cool designs on our website and contact us if you already have any designs in your mind. Hurry up and order the best custom controllers now! Are you someone who’s in the gaming bandwagon too? Are you tired of playing with the same old controller? Are you looking to enhance your experience with something new? If the answer to all these questions is yes, or even if you’re still trying to figure out, give this article a read as it lists down 7 features of new custom Xbox One controllers that will make everyone love it. Here’s a list of some amazing features that custom controllers come with. The website offers a wide variety of unique designs to choose from. You can choose from a range of 3 categories such as: Superheroes, Video games and Premium category. You can choose unique controller skins and shells in order to make your controller look brand new and attractive. You’re given the option to change the body, back, bumpers, thumbsticks, skin and almost every part of the controller. All the designs are unique and amazing, and you can also suggest a design if you are looking for something different. The controllers are of top-notch quality and made from the paint and material that will not wear off. With the increase in demand for gaming day by day, the demand for custom controllers is also reaching heights. Therefore, don’t miss out the opportunity to get your hands on some amazing custom controllers and the great features they come with. 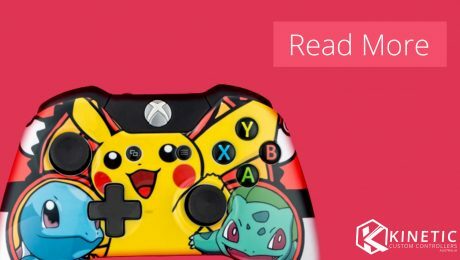 Hurry up and have a look at some best and unique designs from our website and get your controller done at a reasonable price. Don’t forget to check out our website for further details. A standard white and black Xbox controller works fine, however, there’s nothing better than having a custom Xbox controller which you can design as per your interests. Surely, customizing your controller will not play a major role in winning the game, however, it definitely will help you outshine your competitor in style. You can choose some cool designs and show-off your personality while playing with different people. There are various cool designs and theme categories such as video games, superheroes and premium. You can pick from a variety of amazing designs and make your gaming experience an enjoyable one. You can get the body, back, bumpers, thumbsticks, skin and almost every part of the controller changed, according to your requirement. You can select any color theme and even get a message or a quote engraved on your controller. Kinetic Controllers offer top quality controllers, which are painted and designed with high quality paint that will not wear off. Get your hands on some of the best and unique designs as well as some amazing features. The custom controllers that Kinetic offers, can operate on Windows 7, 8.1 and 10 as well as Xbox One. They support Bluetooth connectivity and customers are offered with a warranty of one year. Furthermore, if you want any further changes on the controller, you can even purchase various skins for your controller, or even get a custom shell for it. 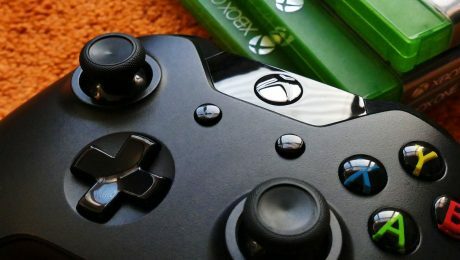 Therefore, if you’re looking for an Custom Xbox Controller with unique designs, amazing features and which is cheap on the pocket, get yours now from Kinetic Controllers. Your order will be shipped in a week’s time with no shipment charges. Don’t miss the opportunity to make your gaming journey a stylish one, grab yours now! Custom controllers for Xbox one are not very hard to find. You can easily find websites that offer custom controllers for Xbox, with designs that are long-lasting and of high-quality. 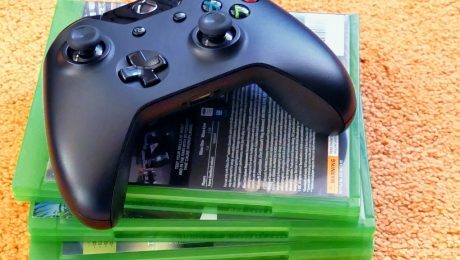 However, when planning to get a custom Xbox controller, you need to be sure that the website is authentic and has good reviews. People often buy from new ecommerce platforms and get the product that does not meet their satisfaction level or the quality is not very good or long lasting. 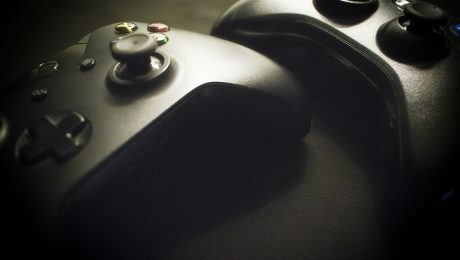 This article discusses the features and qualities offered by some of the best custom controller sellers in the market. 1) Video Games 2) Premium and 3) Superheroes. The shipment time is maximum 5-8 days which involves 5 days to get your product prepared at the company’s end. The custom controller works on Xbox one and Windows 7, 8.1 and 10. Furthermore, it also provides connectivity to Bluetooth and a one year warranty. Investing your money in custom controllers for Xbox one from Kinetic Controllers is definitely worth it. They make especial considerations that the customers are fully satisfied and offer products that are of top-notch quality. Therefore, if you’re looking for a custom controller for Xbox one, you can get one from Kinetic Controllers at a price that is reasonable and worth it. Moreover, you can choose from a variety of amazing designs and themes and make your gaming experience an amazing one. If you haven’t had the chance to get your hands on one of our products as of yet, hurry up and double the fun with purchasing one of the best custom controllers for Xbox.